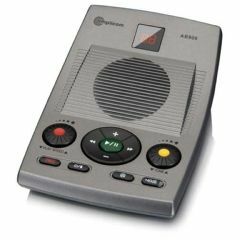 AllegroMedical.com presents The Amplicom AB900 Amplified Answering Machine. Listening to your telephone messages is easy with the AB900 Amplified Answering Machine from Amplicom. This is an analog device that works with phone systems that support analog devices.